Ireland is a fantastic place to do business. Forbes magazine ranks Ireland as the “Best Country for Business in Europe”. IBM’s 2011 Global Location Trends report ranks Ireland as the top destination in the world by quality and value of investments. 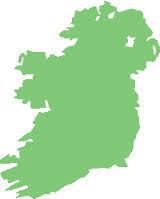 Many of the world’s biggest companies have located their European or international operations in Ireland. Now we want to get the message out to companies like yours that are expanding internationally. Once you realise the advantages of Ireland, we are hoping that you will also locate here and join our vibrant Startup EcoSystem. We can introduce you to a team of experienced specialists who will work with your Startup and help you to understand why you should choose Ireland.